For their distinguished Gold Line, Cali Connection presents one of the very best strains to be derived from the famed Cookies genetics. They combined the legendary Gelato 33 and Gelato 45, aptly naming their new creation 78. A true artisanal masterpiece of breeding that will dazzle you with her intensive flavours and an extremely pungent terpene profile. Many cannabis enthusiasts will agree that the best weed in the world comes from the West Coast of the US. Cali Connection’s made their 78 with the very best from the famed Cookie line of strains; the two modern day legends Gelato 33 and Gelato 45. What can we say? Get ready for a top of the line Cookie experience that can make even the most-skilled Italian gelato artisans jealous! 78’s smell is extraordinarily intensive, so make sure that you have good air filtration in place if you choose to grow the strain indoors. The plant will grow rather short and bushy, but she is quite fast thanks to her substantial growing vigour. Her rapid growth also makes her very productive: In only 64 days of flowering, she can yield you as much as 450g/m² of the finest West Coast bud. Given her stellar Cookie genetics, 78 is all about flavour. The Gelato 33 and the 45 come together for a terpene profile that blends pungent blueberry and citrus notes with an earthy sweet lavender undertone that will coat your mouth for a long time. Relax, sit back and smoke this lady and her enticing smoke will quickly fill your room, leaving you wanting more. We want to agree with Cali Connection who say that they expect 78 to become hugely popular, if only for her amazing taste alone. But of course, that’s not all that this beauty has to offer. 78’s effect is top notch as well. 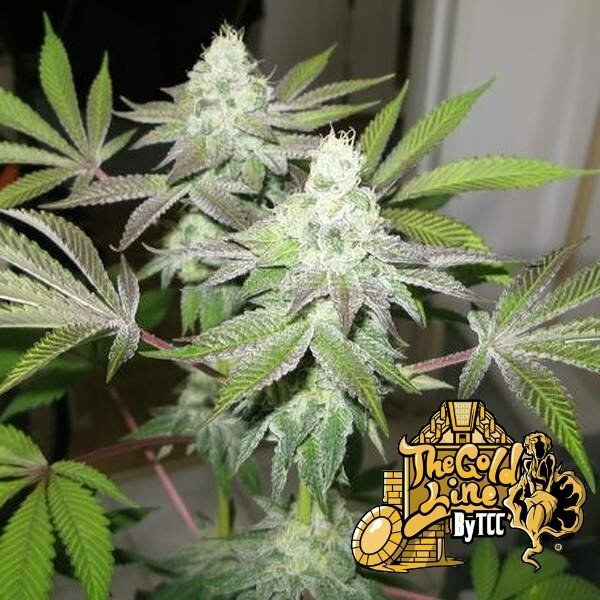 She combines the energetic and uplifting euphoria of the Gelato 33 with the more-relaxing indica effect of the 45 for a sensational high that is superbly balanced. Just take a puff and have her happy high lift you up and put a huge smile on your face. And before you know it, she will be caressing you with deep physical relaxation from head to toe. This awesome effect makes her the perfect smoke to enjoy at any time and for any occasion! 78 by Cali Connection brings you the best of the best of the famed Cookie line of strains. She is a fantastic strain for connoisseurs and everyone else who loves top-shelf cannabis.